Last week, Norma McCorvey passed away at the age of 69. You might have heard or read about it in the news. You man not immediately recognize the name Norma McCorvey, however. She is known in the history books by a different name. 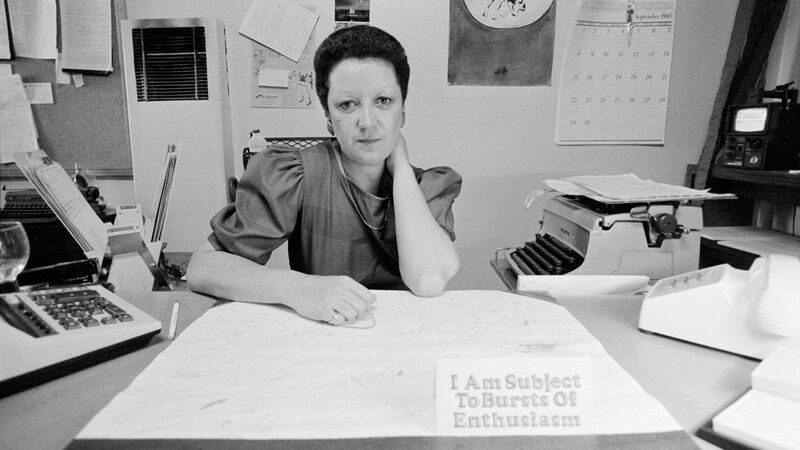 Jane Roe was the pseudonym given her as the plaintiff in one of the most controversial court decisions in the history of the United States: Roe v. Wade. Her case against the State of Texas led to the legalization of abortion. Norma McCorvey grew up in a broken home and nearly abject poverty in Houston, Texas. Her first arrest was at the age of ten for robbery. She spent her teenage years in and out of state institutions. She was sexually abused by a family member. She had her first baby at the age of 16. Soon afterwards Norma spiraled into alcoholism and began to identify as a lesbian. Her mother ended up raising her daughter. A couple of years later, Norma again became pregnant, but gave the baby up for adoption. In 1969, at the age of 21, she once more found herself pregnant. Depressed and at the end of her rope, she decided she wanted to have an abortion. Abortion, however, was illegal in Texas at the time. Her attempts to get an illegal abortion failed because authorities had recently raided and closed local clinics conducting illicit abortions. Two lawyers, Linda Coffee and Sarah Weddington, heard about Norma’s dilemma and recruited her to be the plaintiff in their case contesting Texas’ anti-abortion laws. It took three years, but the case made it all the way to the Supreme Court. In 1973, the United States Supreme Court found in favor of Jane Roe and made abortion legal in every state. In the 44 years since, over fifty million babies have been killed by legal abortion in the United States. That’s more than five times the lives taken by the Nazis in the Holocaust. By 1992, after years of supporting the abortion cause, Norma McCorvey found herself working at an abortion clinic. In 1995, a pro-life group moved into the same building. Though at first resentful of their presence, Norma soon became friends with a number of the Christians working there. One friend in particular, a seven year old girl named Emily – the daughter of one of the pro-lifers – changed Norma forever. She began to see every life as precious. At Emily’s urging, Norma began to attend church. She was soon baptized and found in Jesus the peace and forgiveness for which she so desperately yearned. For the next twenty years, Norma McCorvey adamantly opposed abortion and fought to protect the lives of unborn children. Norma’s struggle ended this last week as God called her home to heaven. As a Christian, as a pastor, as a father – my hope and prayer is that one day Roe v. Wade be overturned. I am heartbroken and appalled that we as a society abhor genocide in our world and yet legalize infanticide. Even if the law is never changed, though, each of us can still do what seven year old Emily did for Norma McCorvey. We can influence those around us. We can befriend those who disagree with us. We can share with them the good news of the forgiveness and heaven Jesus won for us. We can help them see that every life is precious. , had heard Jane Doe had a change of Heart, but never heard the story. Thanks for telling us all and reminding it’s all our command to tell others about Christ.